I haven’t done a book haul for a little while, and i’ve picked up a lot of books since my last one. I genuinely think i have a problem now, why are there not support groups for book buying problems? Anyway… I got some books for my birthday and around my birthday, so i thought i should share with you what i got! 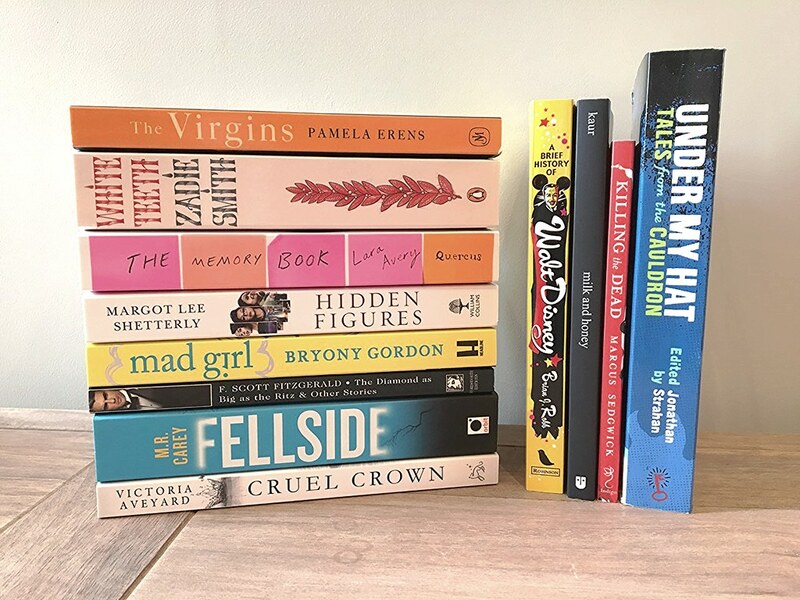 Not all the books i’ve gained since Christmas are in this haul, because to be honest, i cannot remember for the life of me what they all are (i told you this is a problem)! Milk and Honey has been one of the most popular poetry books of the last few years. It’s done particuluarly well amongst young readers. It’s been on my radar for quite some time so while i had the opportunity for a copy for my birthday, why not? I picked up a copy of White Teeth whilst on a birthday book shopping trip with my parents. I’ve wanted to read it for quite some time, and i did had a hard back copy of it but declared it far to big and bulky. I’ve had my eye on this book for quite a while. At YALC last year they had some ARC copies of it that were floating around and seemed pretty popular, however because i didn’t know anything about it i wasn’t too interested. Once it got released and the hype continued, i released i should get on it. I’m still only about 100 pages in to Girl With All The Gifts, i’ve just not had the umpf to finish it in the last two years or however long it’s been. I’m hoping that Fellside will intrigue me a little bit more! I’m slowly collecting this whole series so i can whiz through and read it all in one go. The novella collection that goes with this series was definitely a good purchase at only a few pounds. Movies aren’t really my thing (if you’ve followed the blog for a while, you might have picked up that they’re definitely more of Sophie’s thing) but a lot of hype has been put on the Hidden Figures movie that is coming up very soon. I decided to pick up the book to get myself prepared for it or even give it a read after. It sounds like a truly compelling read that you can learn a lot from. If you’re not aware, i really love Disney. I adore the movies, the stories and especially the great man himself. I found this book on a whim quite cheap and decided that i should get it ahead of my Disney trip a little later this year. I cannot wait to find out all the little details about how Disney started and annoy my friends with facts for a whole week. I know absolutely nothing about this story to be honest. I’m aware it’s a YA story, set in high school in the 70’s. It sounds like an interesting read and something i will enjoy. Definitely a cover buy for me. This is a short story collection that me and Sophie looked at a few months ago for a read-along. We’re not sure if we’re going to go for this book, so keep your eyes out for an announcement in the next few months. But i found this copy very cheap so even if we don’t read it together, i’m sure i’ll enjoy it. I knew i’d be getting this a few months ago when it was purchased right in front of me by my parents, but my pure excitement when i remembered it on my birthday was completely real. 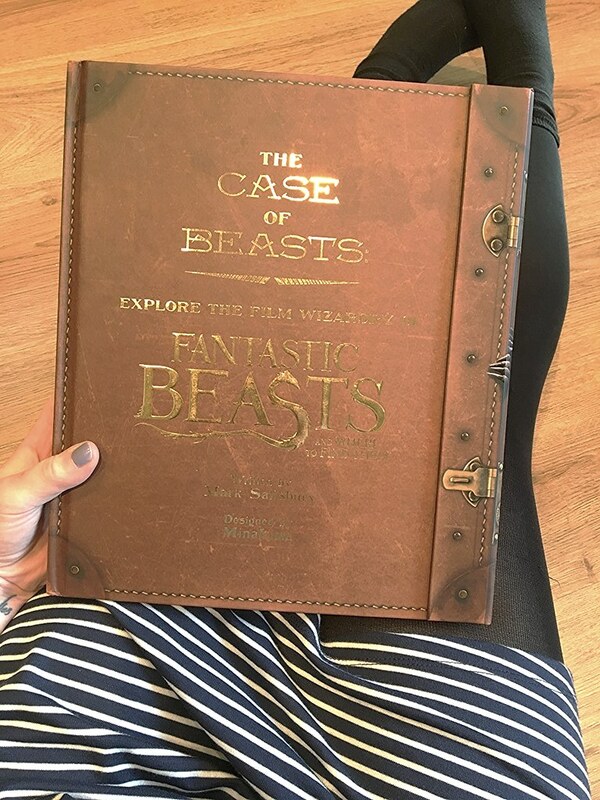 I adored the Fantastic Beasts movie, and to have such a beautiful companion book in my possession is the happiest i’ve been for a while. Some of the details added by MinaLima are incredible. Mad Girl has been on my wishlist for quite some time and i was lucky enough to have it gifted to me. It’s the memoir of Bryony Gordon as she’s struggled through OCD and depression. I’m trying to read a little more non-fiction this year and i figured i may as well start with something that interests me. For some time i’ve wanted to try out F. Scott Fitzgeralds work. I started reading The Great Gatsby some time ago on my kindle, and i still can’t figure out whether i couldn’t focus on it because of the kindle or the writing. So i picked up a short story collection of his in the hope these might entice me in to his writing a little more. I’ve never heard of any of these books but now I’m going to check these out! *Insert excited gibberish here* I want ‘A Brief History Of Walt Disney’ and ‘The Case Of Beasts’! Ooooh I really want to read Hidden Figures! We went to see the film the other day and I loved it, so it’d be cool to read the book too. So many of these look great!